and even Star in a Hollywood Movie Yourself! It's a Once In A Lifetime Opportunity! Do you want to be part of it? 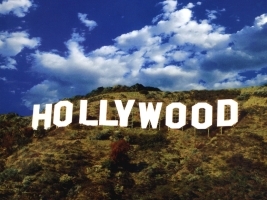 Imagine you could be the Mentor for a Hollywood Movie Hit and Appear Yourself in the film! You will be joining a 1-week-movie-recording with us and a few carefully selected Top Experts from all over the world! Moreover: We make a professional video of you for your website - Showing that you are The #1 Expert in Your Field. 4. You spend 1 whole week with us learning the Mastery of Coaching and Training in full action. It's like a 1 week intensive, advanced and practical Master Coach/Trainer training! 5. You will be filmed in a REAL TV Studio. You'll have a video for your website showing a professional TV interview with you about your business and how you coach Executives in a TV studio preparing for an interview. 7. 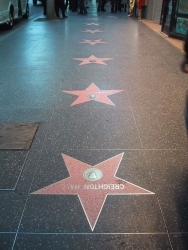 We will write your press release about your Hollywood participating and your business. We'll send your press release to our 45.000 media contacts worldwide. - We FILM YOU in full action, on the movie set in New York, while you train and coach people! 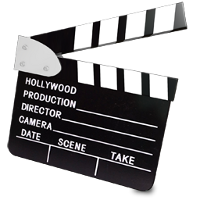 You'll have an amazing movie to put on your website and show that you trained executives and actors in an American movie. What a great reference and proof of your expertise! So... WE MAKE A PROFESSIONAL VIDEO Trailer FOR YOUR WEBSITE! - What will the movie we make for you contain? 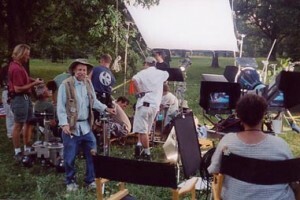 It will show how you interact with executives and actors on the film-set, how you give Training to a group, an interview with you in a Real TV Studio in New York, video testimonials of persons you coached saying how great your advice was, and the scene with you in the American movie itself. - You receive all our original HD video recordings, so you can edit it and make even more video's with it at home if you want. - You'll attract a lot more clients, because if you're part of a Hollywood movie Mentors team... it's an amazingly impressive proof of your expertise! - It will be fun! - And... you will APPEAR YOURSELF IN THE MOVIE! You don't have to an actor, because you'll just be yourself. You will be able to show people your face in the movie and that you were part of the cast of an American movie and playing... yourself! Briefly put: If you participate... You will leave a Legacy! Do you want to fly to New York with us? >> Apply below for more details! - You'll fly to New York between 17-20 October. It would be fun if you come a day or two earlier and stay a day or two longer, but a minimum presence of at least 4 days is required. Dates have been confirmed by the producers and are fixed in our contract. 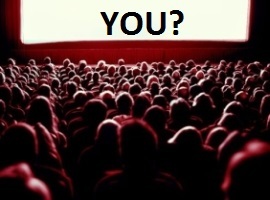 - We can send you by email the Movie Trailer, actor profile, plan and all details about the movie. - You don't need to learn any lines for your acting part. Just be yourself! - We will prepare everything personally with you. We'll make sure you know exactly what to say and what to do. - It's not for everybody! Places are limited and you must have a proven track record in coaching/training or owning your own business. - You need to apply below. We would like to learn more about you first before we spend 1 week together. Only the Top Leaders in their industry will be part of this project. - Being part of this for 1 week will make you a Top Trainer/Coach or give you proof that you are the Top Expert in your field in your country. You will attract more clients when they hear or see that you are part of a USA full feature movie! 19 October - You give training to 200+ people on a big stage, you are filmed being part of the movie. Busy day in New York. 20 October - We make additional footage for your video and/or the movie. Probably also coaching behind the scenes in New York. (OPTIONAL) 21 October - We can introduce you to more useful connections and/or record more videos of you in New York. These are the 7 persons who already registered and paid to be part of it. There are Only 3 Spots Left! Hurry Up! This Option 1 is for persons who want to focus on Body Language. If Body Language is NOT your main focus, go for Option 2 on the right. because not everybody can go. so it's best to learn to know each other first. For more information on pricing, read "Pricing" paragraph below. - Choose Option 2 if Body Language is NOT your main focus, but this project will benefit you by being part of a USA film production. - You will mentor our team with your expertise, and we'll make an impressive movie for your website, showing how your skills benefit the production of a Full Feature Film in USA. At this stage it's needless to say that this Once In A Lifetime Opportunity will be Sold Out fast. We're looking for the Top Leaders to join our team. If it's you, Apply Now below! Executive Producers of the Award Winning Documentary "Destressed"
If you would like to arrange something similar on your own, you would spend many weeks on preparation, a lot of telephone calls and no producer would let you play such a large role in the backstage development of a Hollywood movie for less than 50.000 euro. We know it because we tried it. We thought mentioning it to save you a lot of time and effort just in case. Because the Center for Body Language sponsors a part of the movie as an investor, we are able to create this Once In A Lifetime Experience for you. The deal we made for you through our contacts and approaching this as a group initiative is an amazing bargain! For this amazing package... It's obvious you can expect to pay more than 3.000 euro (plus travel expenses). But if you are an excellent Coach/Trainer or if you have your own sound business, this Reference that you are The #1 Expert will generate such an extra revenue for you that makes your participation fee a Once In a Lifetime Bargain! The spots are very limited. Apply below to learn all details about the movie, including the Movie Trailer, and to receive the exact pricing details. We’ll send you all details after your application is accepted. We'll send you the Movie Trailer, actor profile, plan and all details about the movie. 1) Apply with the form below. Since we will be spending 1 week together and you will be joining our group of Top Certified Trainers from all over the world, we’d like to know more about you first. We'd like to feel that your participation is a good fit for both sides and that it will be an enjoyable experience for everybody. Only Business Owners and experienced Coaches or Trainers are able to participate in this program. 2) If your application is accepted, you will receive all details about the film, the Movie Trailer, the pricing and the detailed planning by email within 48h. Tip: If you have been referred by somebody we know personally, this significantly increases your chances of your application to be accepted. Like I said... It's a Once In A Lifetime Opportunity! Who registers first receives priority.